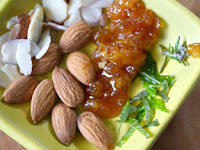 Today was Day #4 of Chocolate, Honey and Almonds Theme Week. Amella (El Segundo, CA) offers an award-winning variety of caramels—including agave-sweetened caramels, sea salt caramels, vegan and cocoa butter caramels, and honey caramels. 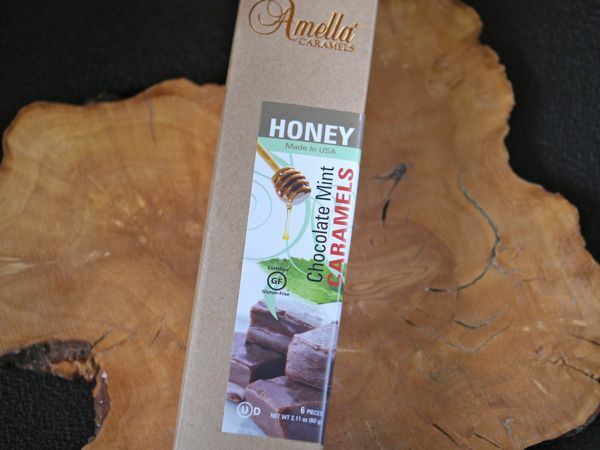 I found today's Honey Chocolate Mint honey caramel flavor at the Winter Fancy Food Show in San Francisco when I stopped by the Amella booth. 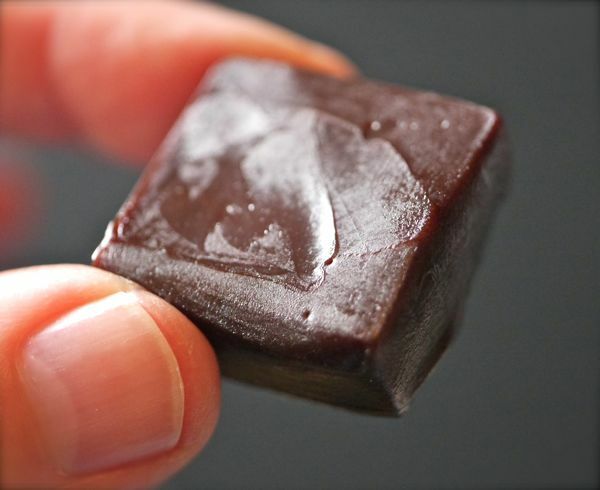 These individually wrapped, certified gluten free and kosher, caramels had a satisfying smooth, chewy melt. 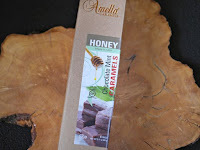 The flavors were well balanced and these honey-sweetened caramels were not overly sweet (thank you). The peppermint was authentic, and not overpowering (thank you). The mint was also mellowed a bit by the cream (#1 ingredient) in these caramels. The honey flavor was pleasing; and the chocolate provided a rich flavor backdrop. If you wanted to fancy things up, you could also unwrap these chocolate caramels, and include them in a dessert tapas plate with honey, almonds, fruit and mint leaves. 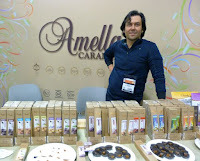 Previously I'd tried Amella Roasted Almond (agave) caramels with dark chocolate. I think these would be a nice complementary flavor on such a plate.